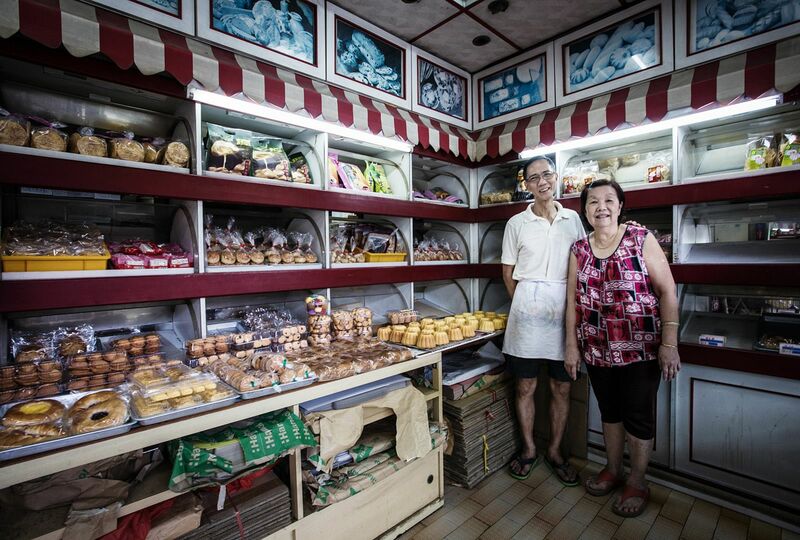 For the past eight years, my family and I have lived at Commonwealth Drive. 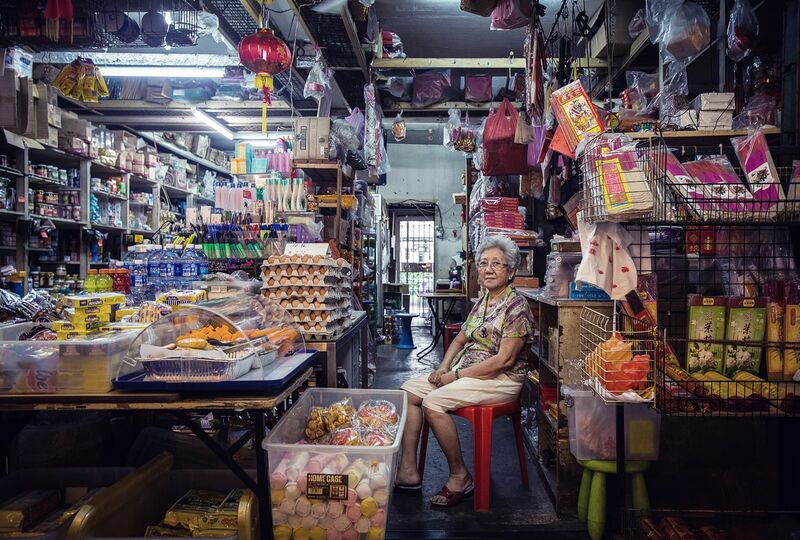 The first home I ever owned was a small but cosy three-room flat on the seventh floor of block 79. 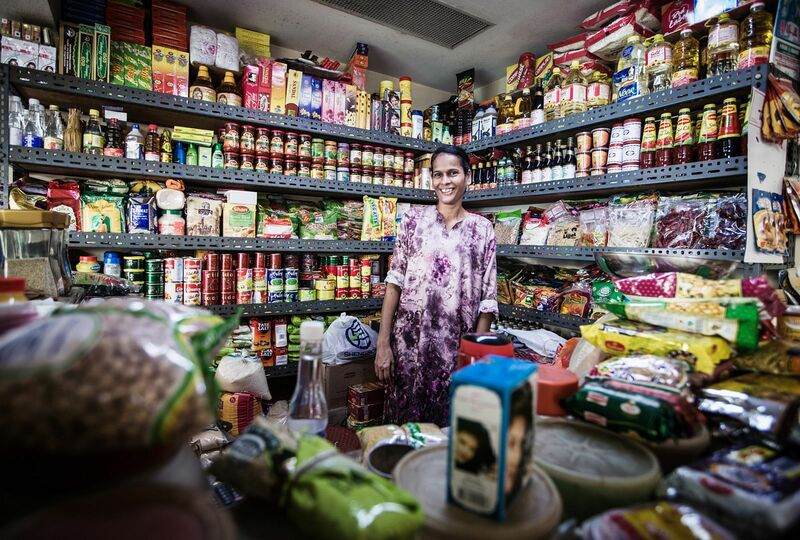 But I’m just a ‘baby’ in the neighbourhood compared to some of my neighbours, who have lived in Commonwealth Drive for most of their lives. 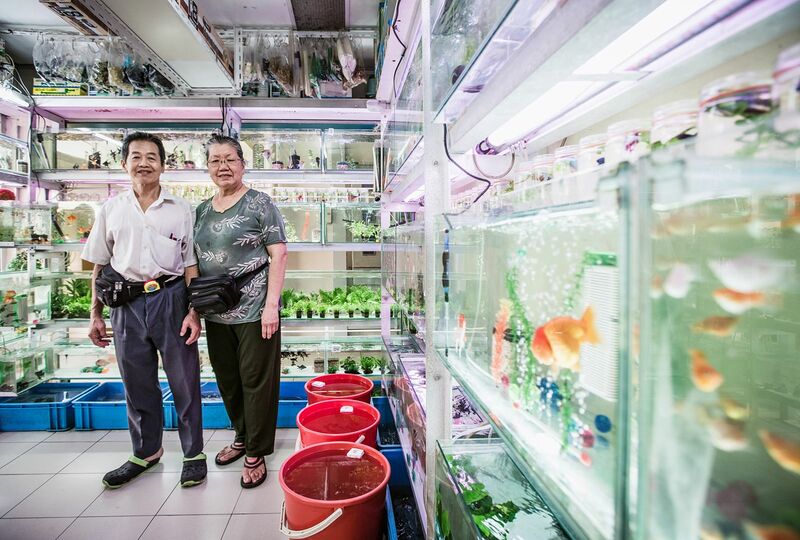 This cluster of ten-storey flats - more popularly known as Zhup Lao (“ten floors” in Teochew or Hokkien) – was one of the first satellite towns built in 1962 by the Housing Development Board (HDB), and I’ve heard a wealth of stories about the area from my neighbours and local shop owners. 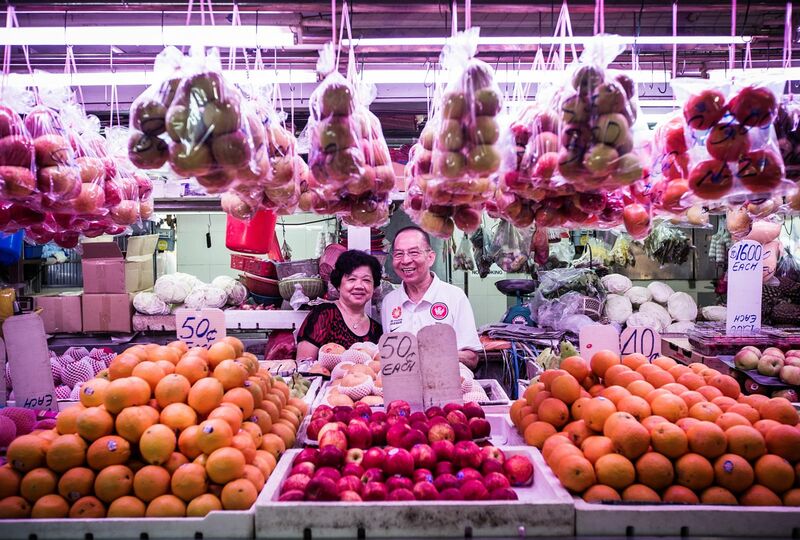 Many of these things also remind me of my grandmother, who brought me up. 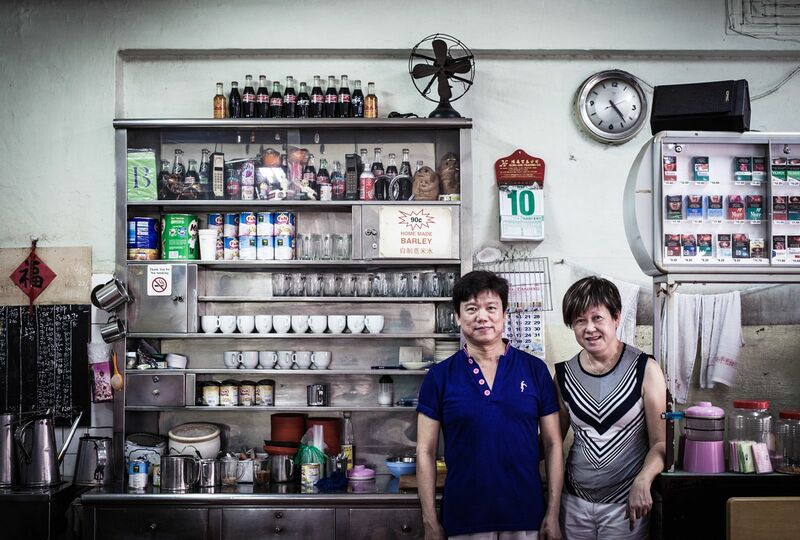 I’d like to think that I’m honouring her by being nostalgic in this series of photographs. 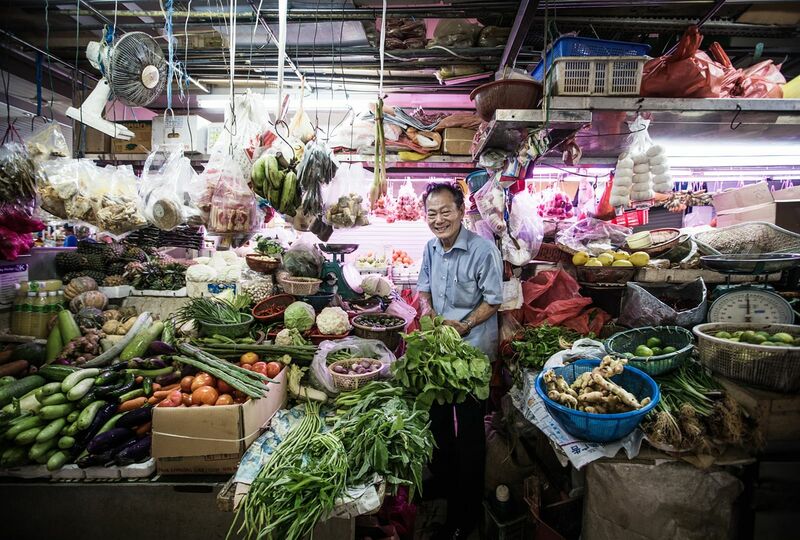 Mr Goh Shu Jeng, vegetable store owner since 1964. 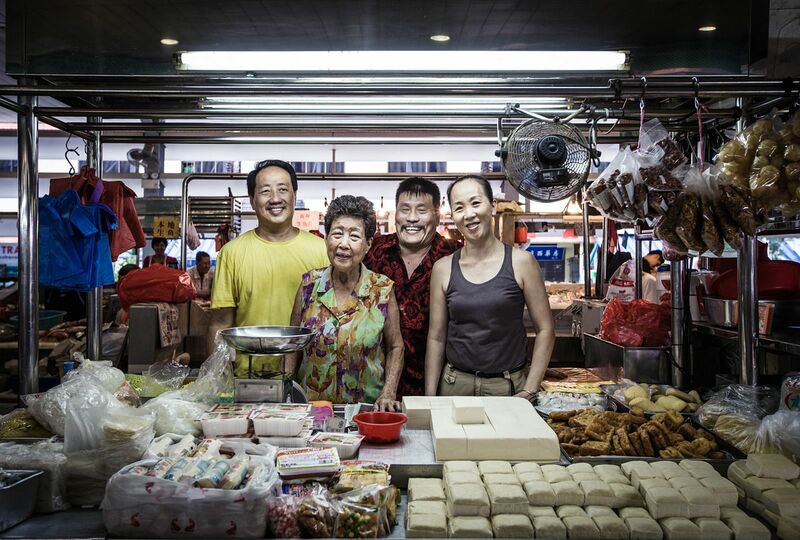 (Left to right) Mr Sim Ang Chew, 54, Madam Yiap Ah Sioh, 80, Mr Ong Guan San, 53 and Madam Nancy Teo, 51, are tofu shop owners since 1962. 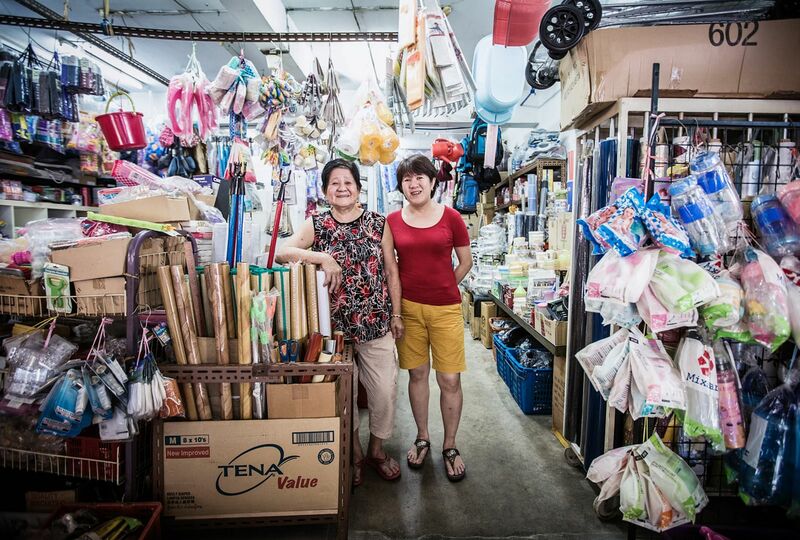 Golden Star textile shop (since 1966). 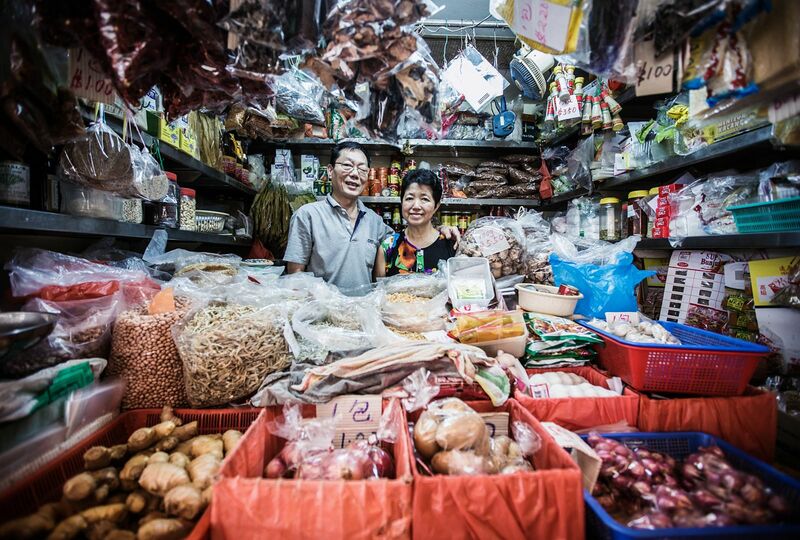 Mr Lee Wu Song, 63 and Madam Ho Jin Liang, 67, at Hock Ann Confectionary (since 1960s). 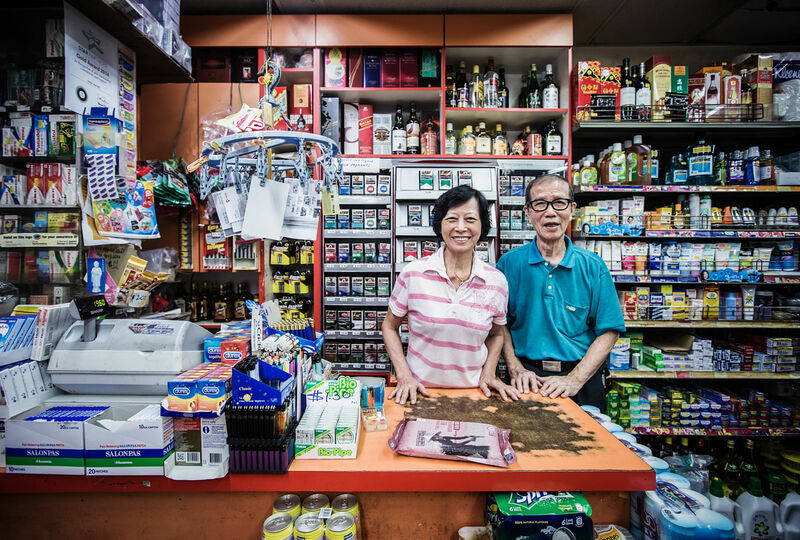 owners of an Econ minimart shop (since 1963). 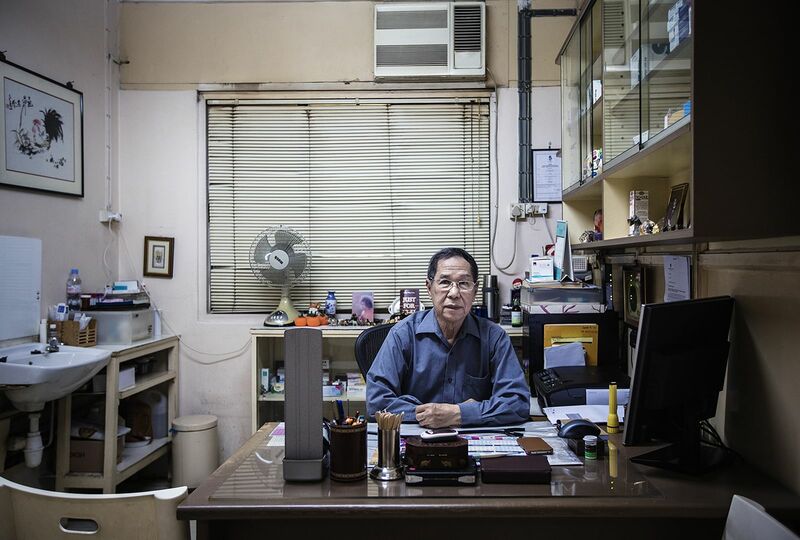 Mr Lin Feng Ai, 76 at Kian Seng incense shop (since 1968). 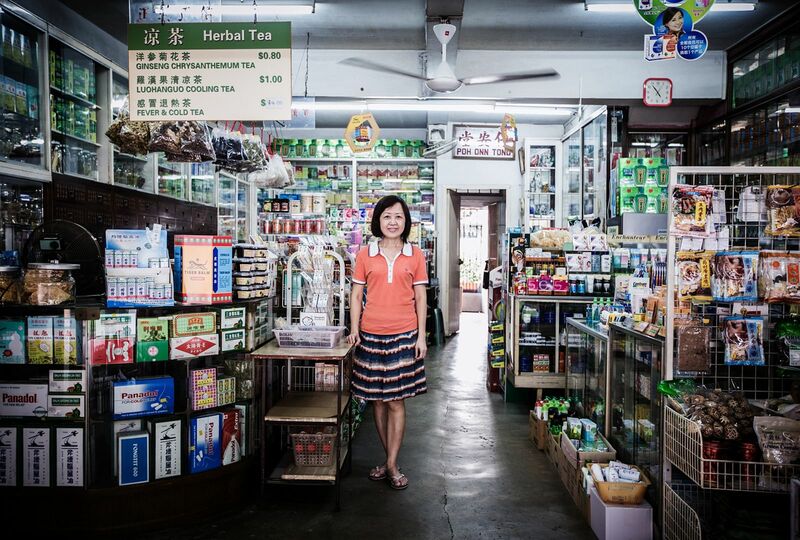 Madam Jasmine Chong at Poh Onn Tong traditional Chinese medicine shop (since 1964). 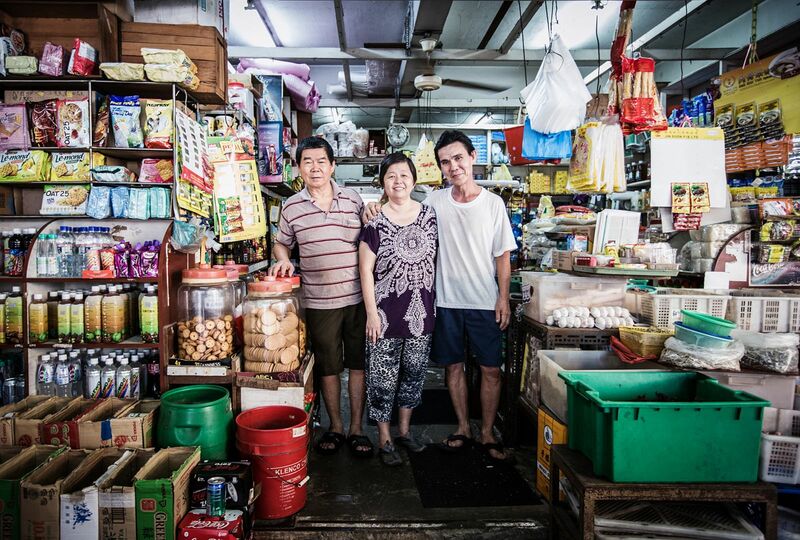 (Left to right) Older brother Wang Jia Zhong, 67, and couple Zhuang Xiu Lian, 55 and Wang Jia Xi, 61 at Thin Huat provision shop (since 1960). 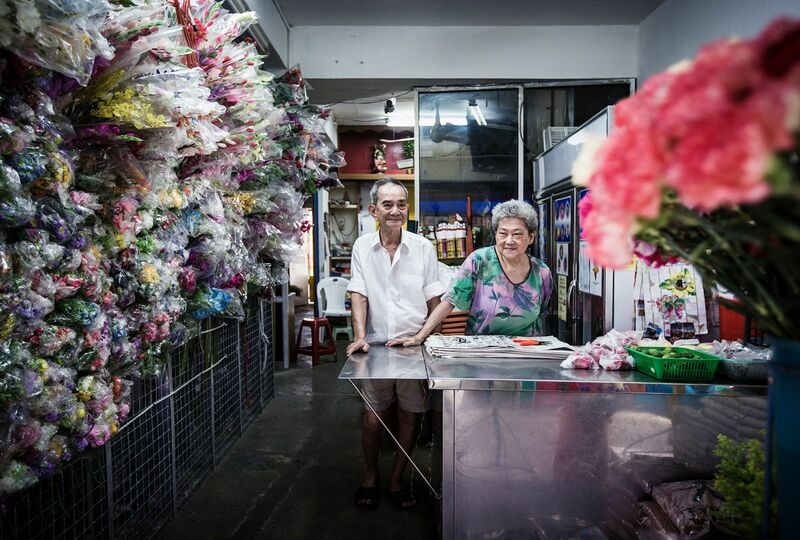 Mr Yeo Hian Seng, 78 and Madam Cai Ya Li, 73, at Universal Orchids flower shop (since 1973).